Stunning cards! Love the embossed details on both, thank you for a fabulous collaboration! Beautiful cards, love these embossing powders, especially that diamond white glitter on the moon! And those Painted sentiments look so pretty in the super shiny gold and pearly silver. Gorgeous cards! Great matchup of Altenew and Wow! WOW! What a fun collaboration! I love it, love it, love it!!! Fantastic blog hop! I have been experimenting with my moon set with various shades of white and grey ink but I hadn’t thought to add a sparkle embossing powder – I will now try that. AWEsome cards Jennifer, your embossed moon is divine! Gorgeous cards! Love this colors! Beautiful cards using the stamps and embossing powders. 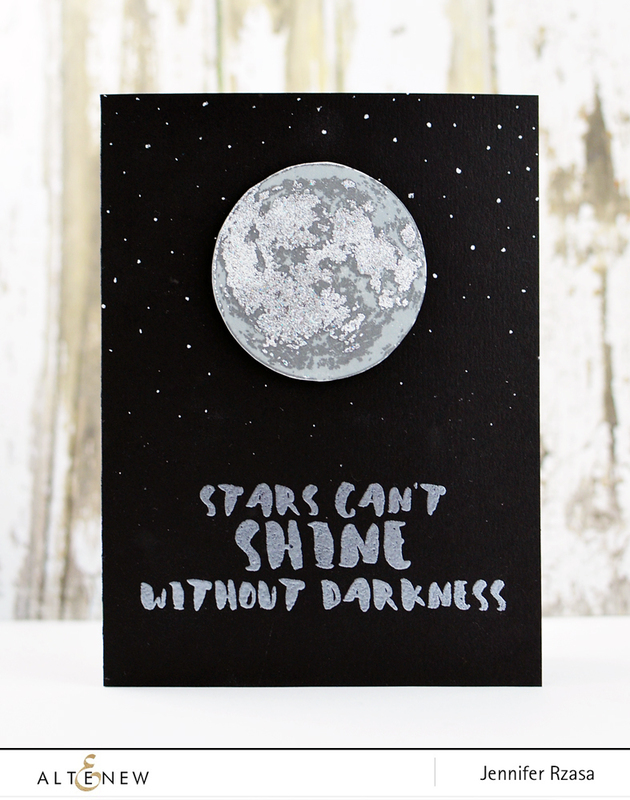 Fabulous creations, the card with the moon is out of this world! :-) made my jaw drop! It has a real wow factor… oh… just too many puns here! WOW, Diamonds are a girls best friend and now it comes in embossing powder…ohhhh I’m over the moon in love! I love how embossing looks! Congratulations on the collaboration; it’s a match made in heaven!!!! Love both cards, but the moon card is so sparkly! These are beautiful examples! I love the first one with the watercolor flower. Beautiful! Both cards are lovely examples of the embossing. Embossing is so much fun. Wow I love the first card, the die is so beautiful and the colors you blended are stunning, tfs. I love Altenew products and embossing powder so this is a win win! Beautiful cards! 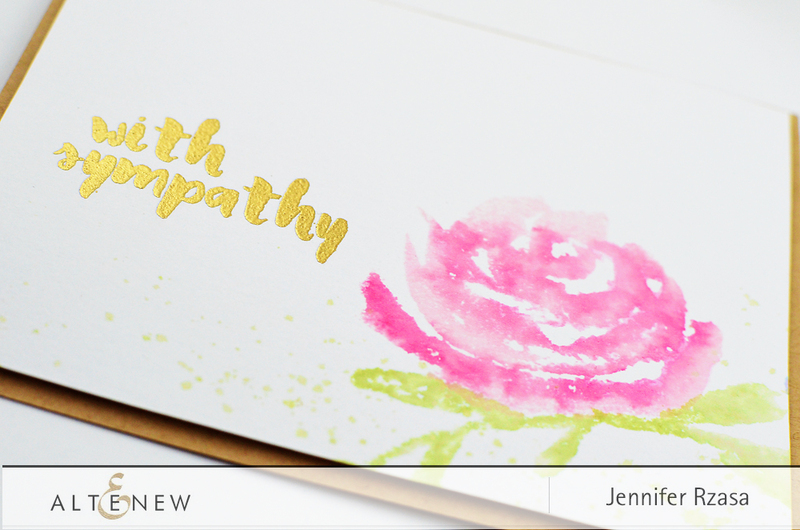 Love the WOW embossing powders and the painted greetings! 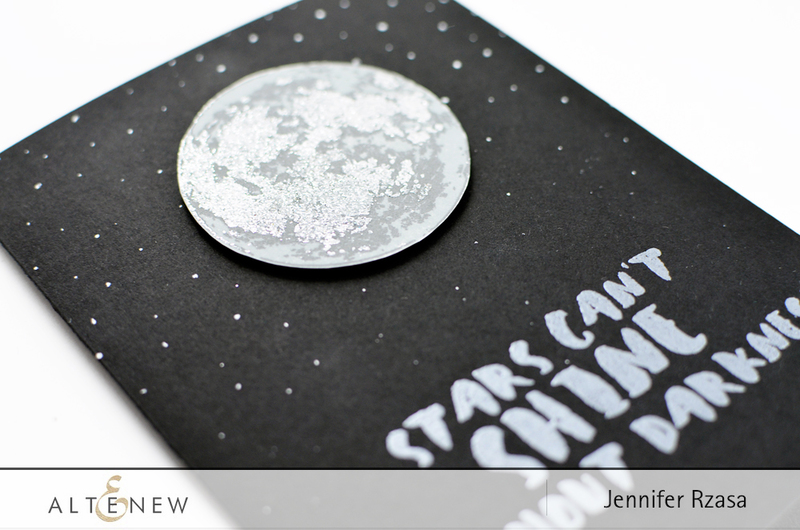 I love the moon stamped combined with the embossing. Gorgeous! I love the Moon, so beautiful and the embossing is so wonderful! Thanks so much for this amazing Hop and inspiration! Two great companies. I love your products and blog and WOW embossing powders too. WOW is an awesome company and they make exceptional ep. 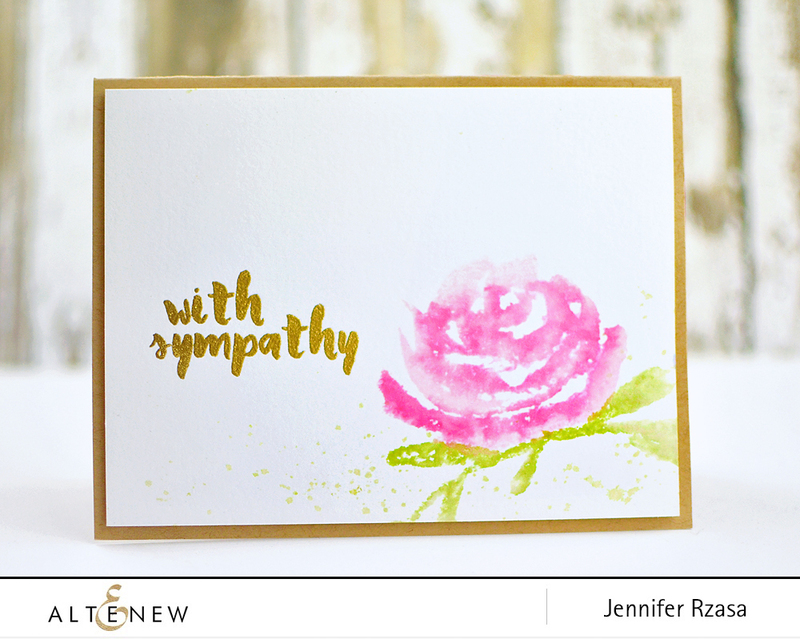 Paired with the gorgeous stamps from Altenew…is a winning combination. Gorgeous cards…..love the “To The Moon” card. These are extraordinary!! Lovely work! I’m inspired to use my embossing powders in this manner. 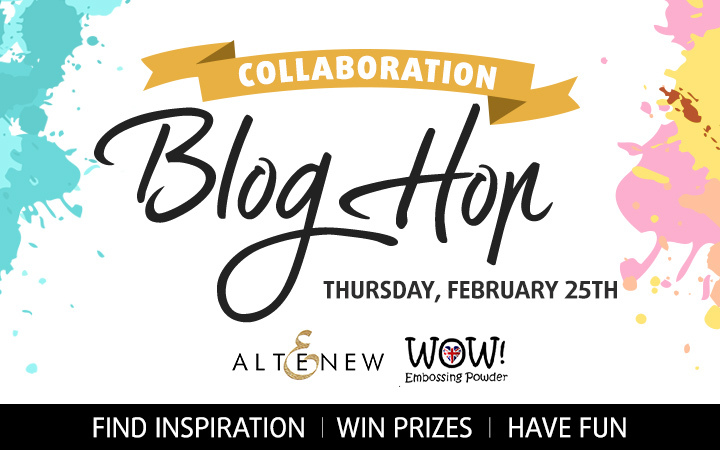 Thanks to Altenew and WOW embossing powders for sponsoring this blog hop! Beautiful cards. Love the flower card. I love WOW embossing powder, and when combined with another love, Altenew stamps, the combination can’t be beat! Thanks for the chance to win! I can’t wait to stroll through the hop!! I’m so excited to see it all!! I absolutely love your moon card and the sparkle it has!! These are both beautiful. Thanks! Two of my FAVORITE companies are having a party and I was invited! YIPPEEE! These cards are beautiful! I can’t wait to see what everyone else has done! Thanks so much for putting this hop together and thanks SO MUCH for the chance to win! I love the moon card!!! Love both of your cards. The watercolour look is so delicate and the moon card is so dramatic. Your cards are so beautiful! I love the delicate watercolor look on the first one with that elegant dash of gold. Truly inspiring. The moon card is fabulous! Love the two-toned gray on the moon and that silver pearl embossing powder has been on my wish list for ages but it seems every time I go to order it’s out of stock. Clearly it is a run away hit and I can’t wait until I can play with some too. Thanks so much for your gorgeous cards and for the chance to win! Lovely cards, I adore the watercolor look of the floral image. Beautiful cards!! Love the moon card!! Awesome!! The embossed layer takes it to the next level! Super blog hop!! And gorgeous cards!